Good Morning! 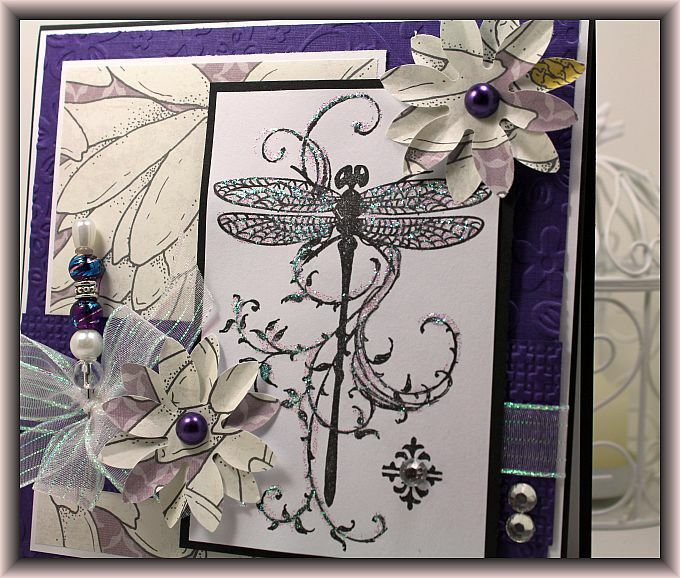 I have another pretty card to share with you this morning using the Dragonfly Vine stamp that Kim has ordered in at The Cutting Garden. 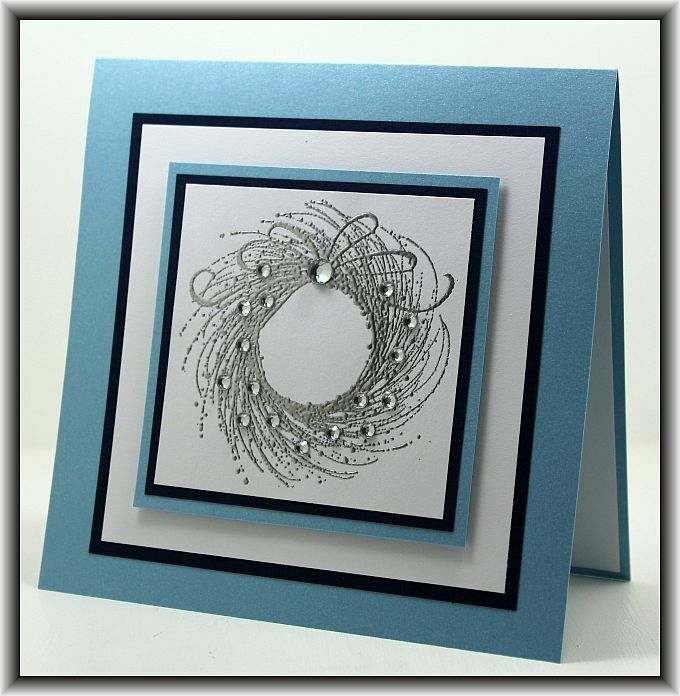 I love this pretty stamp and when you add some shimmery stickles to it, it is just beautiful! 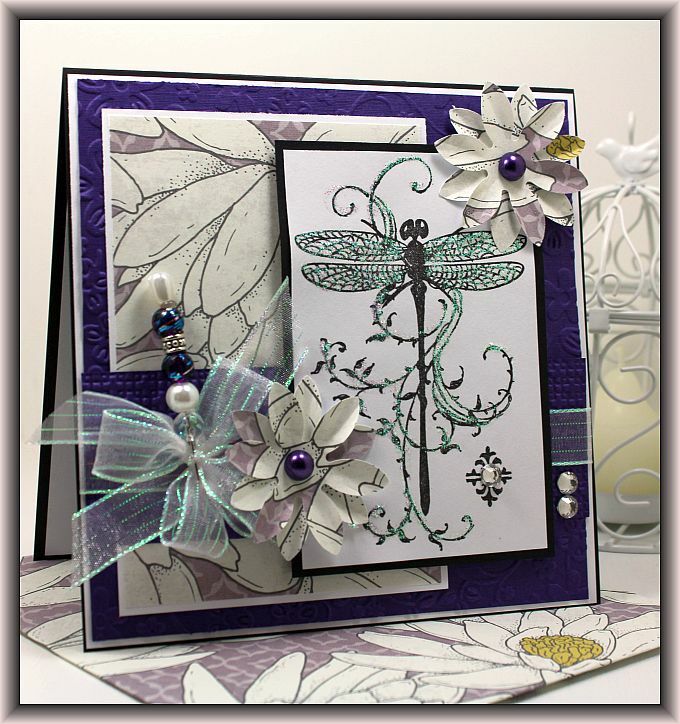 This time I used some pretty purple paper….. 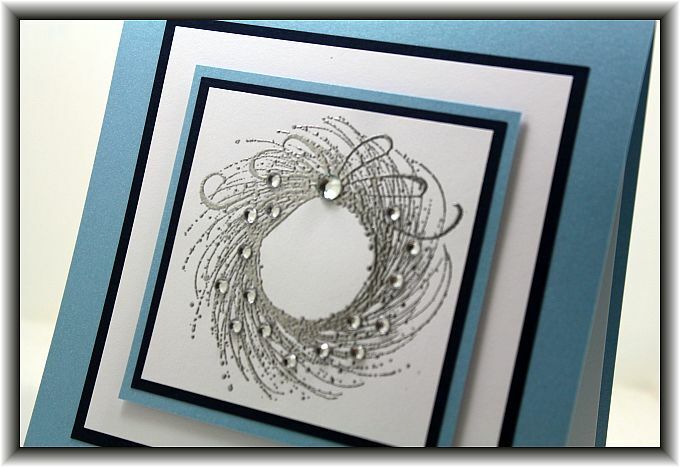 I am looking forward to spending some time in my craft room this weekend and as a bonus, Monday is a holiday so I have an extra day! Over the last few weeks I have snagged myself a few new punches that I am just itching to play with. 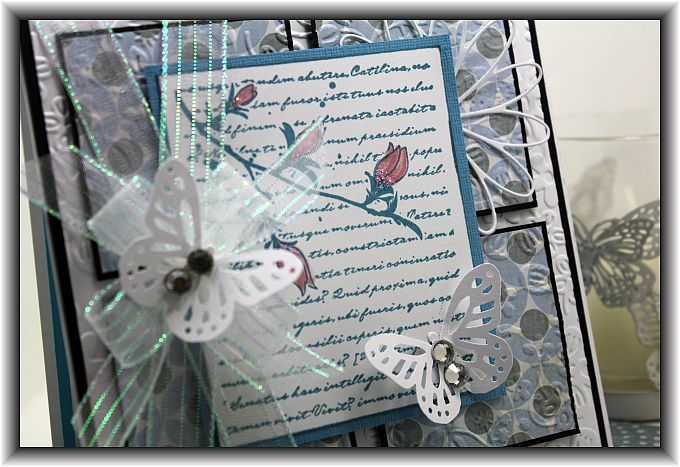 I scored two new deep edge Martha Stewart punch around the page sets at The Cutting Garden that I am excited to use. 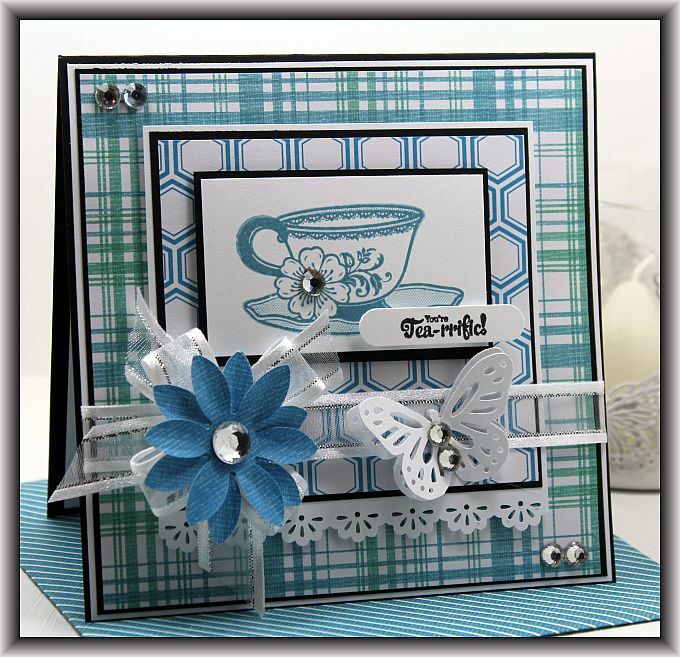 Also I have 2 of the Martha Stewart Doily Punches to craft with so it should be a fun weekend for me! I am off to get ready for work! Have a great day and thanks so much for stopping by! Good Afternoon! It is a beautiful day today and I am busy puttering around the house getting my chores done so that I am ready to head back to work tomorrow. 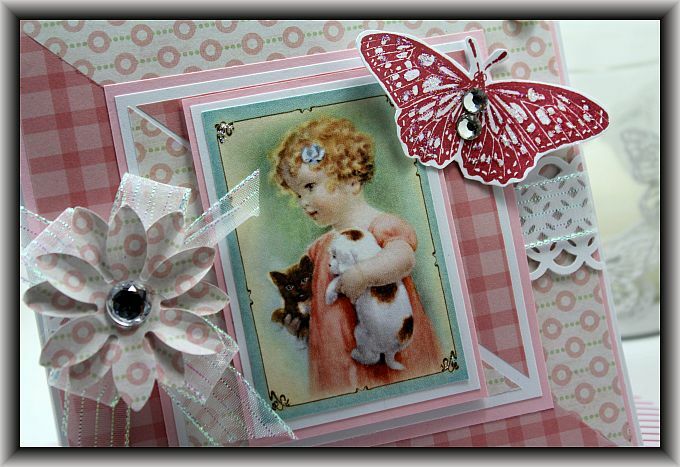 I have a sweet baby girl card to share with you today using an image from the Graphic 45 Little Darlings paper collection. 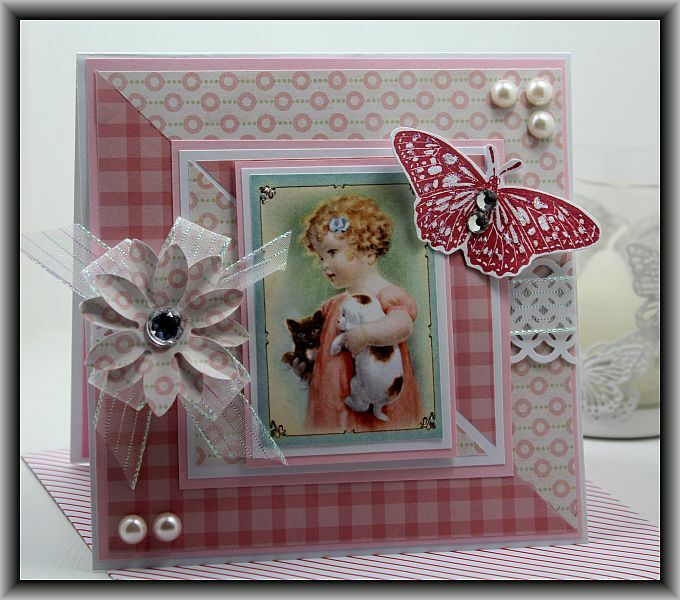 I rarely make baby cards but I couldn’t resist using this sweet little girl image. I hope you are all having a great day and thanks for stopping by! No this image is not a stamp and I did not color it! LOL! This is a digi image I bought ages and ages ago from Fred She Said. I love pretty floral cards and I decided to print a few off to make some cards last Monday in between doing some house work. 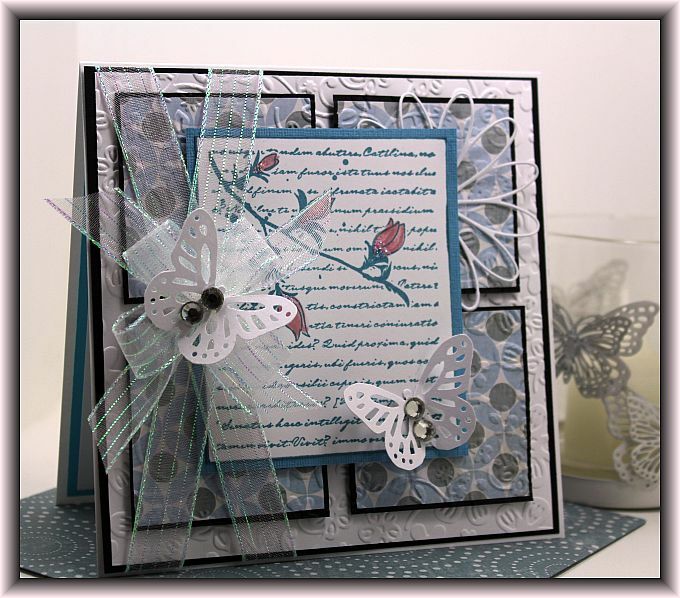 I used the lovely Memory Box wreath die I picked up a while back from The Cutting Garden and some of the pretty ribbon Kim keeps in stock. 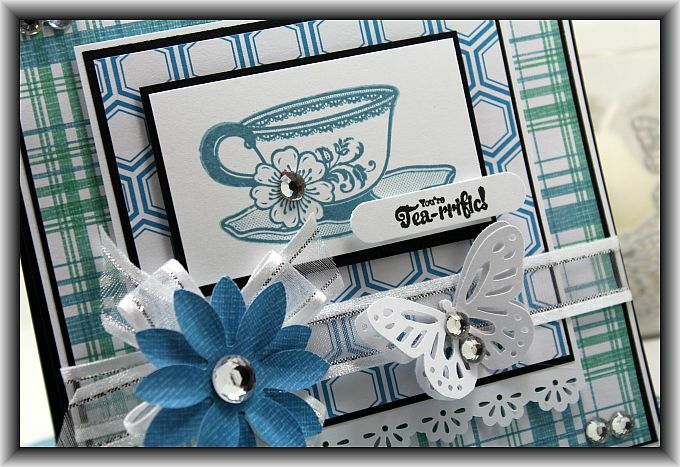 The white sheer ribbon is my favorite. Its another work day for me so I am off to get ready! I hope you have a great day and thanks for stopping by! Good Morning! I am back to work today after a long weekend. I am happy to get back into my regular routine with posting to my blog! Here is what I have to share with you this morning…. 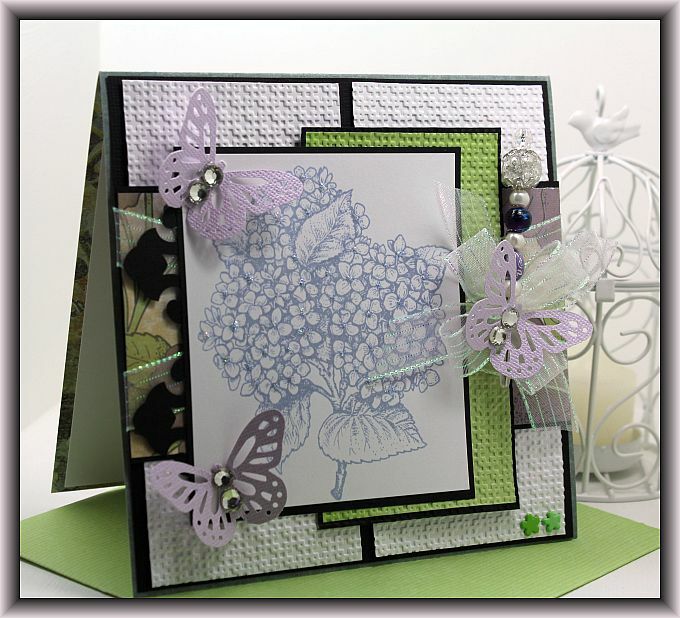 This lovely stamp is by Memory Box. I pulled out a paper pad and decided I wanted to do it in blue. 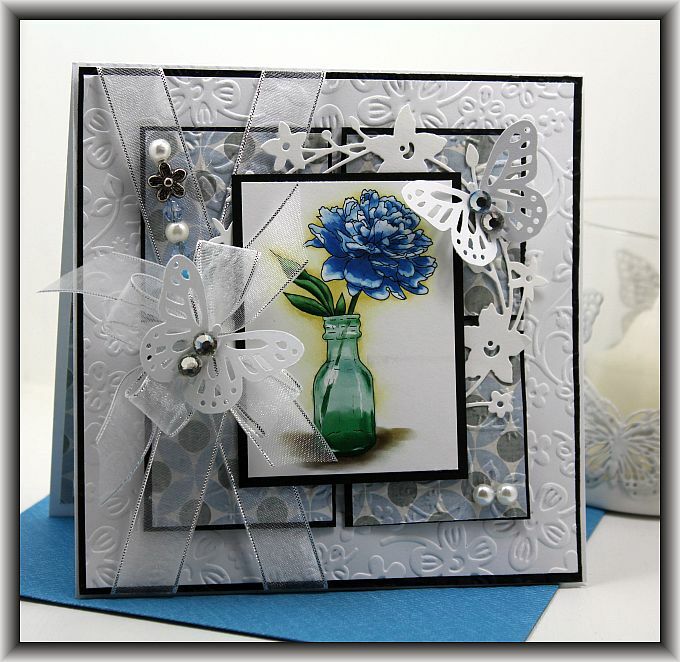 Actually most of the cards I made this past weekend is in blue. For some reason I am stuck on blue at the moment. Oh well… I might as well roll with it. Well I am off to work! I hope you all have a great day and thanks for stopping by! Another quick post for me this morning as I am busy getting ready for work. Today is Friday for me, I have a FUN weekend planned! All my crafty friends are coming here this weekend to craft with me. Shelly is coming all the way from Glace Bay to stay for the weekend so this should be a blast! I made this card a week or so ago and I am just getting around to posting it now. I am trying to use more color these days…. 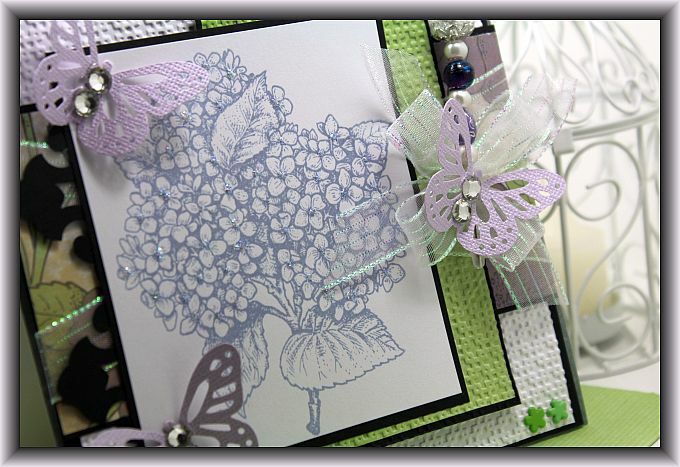 The stamp I used for this one is called Hydrangea by Flourishes. 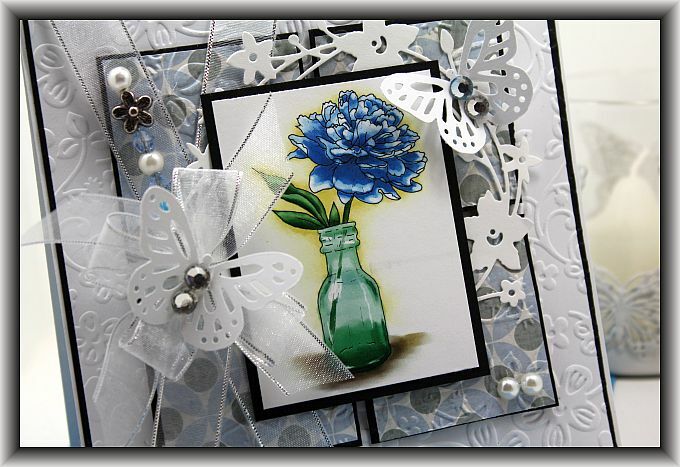 Kim stocks loads of wonderful Flourishes stamps at The Cutting Garden, they are beautiful! I am off to get my day started! Have a good one!